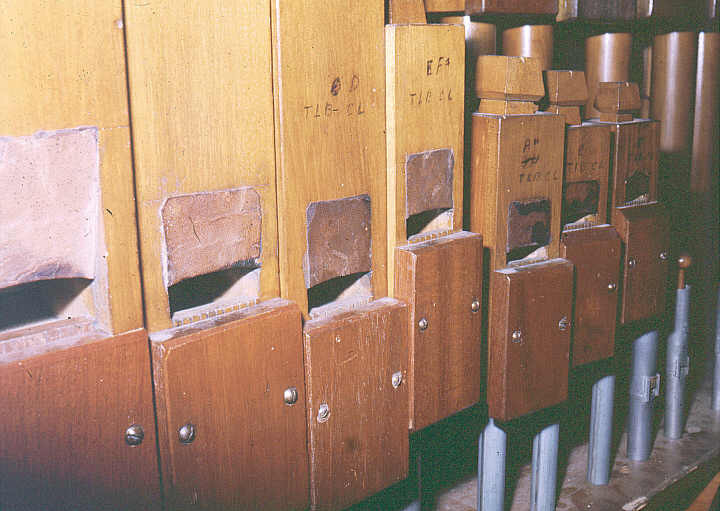 When the Regent organ was removed in 1963, no theatre organs remained in Queensland. 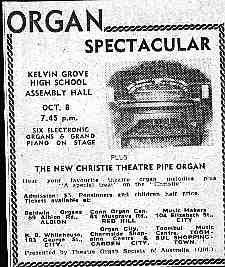 However, the Theatre Organ Society of Australia was already active in the Sunshine State. Initially, the local members formed part of the NSW Division, under whose auspices the final concert at the Regent was arranged. A separate Queensland Division was founded in 1964. 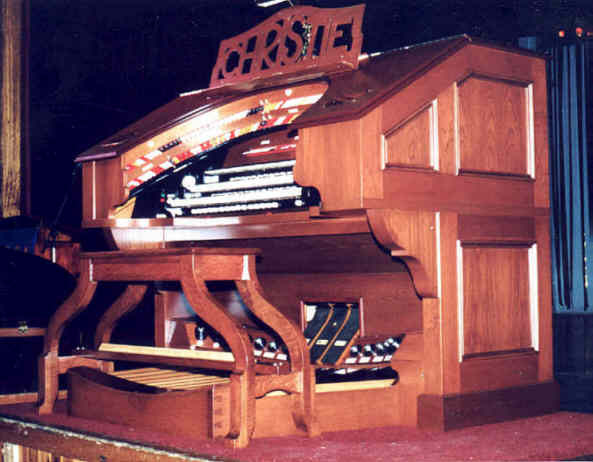 In 1968, TOSA (Qld) decided to follow the lead of other Divisions and purchase a theatre pipe organ of their own. 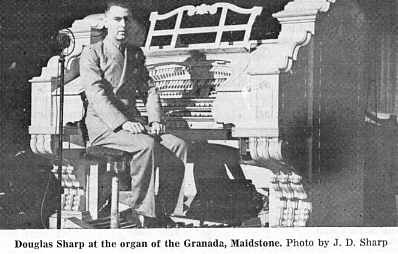 At that time, no suitable instrument was available in Australia, so TOSA looked overseas, to England, where, with the assistance of British enthusiasts they purchased the three-manual, eight-rank Christie organ of the Granada Theatre, Maidstone, Kent. 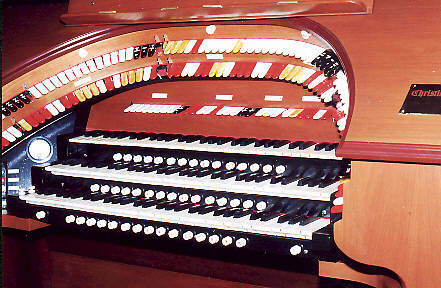 This instrument had been designed by Granada's head organist Harold Ramsay and built in 1934 as Christie's Opus 2911. It was opened by Alex Taylor, who also cut a record on it. 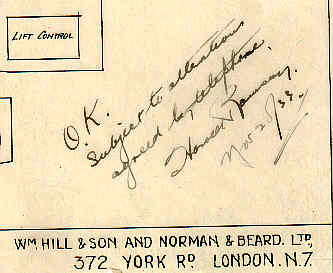 (Decca F3845, a 78 r.p.m. shellac recording featuring "Blumenlied" and the Gavotte from "Stephanie". This is now, of course, a very rare collectors' item, and has not been remastered onto LP, CD or cassette media.) 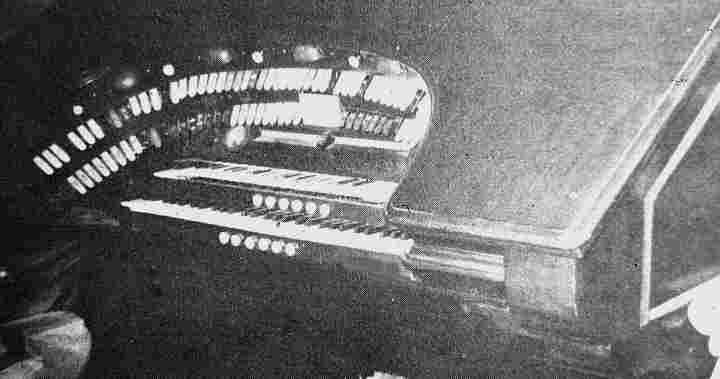 A special feature of the instrument was a "phantom" grand piano attachment on the stage and playable from the organ console (a feature of all Granada organs from 1931 onwards). However, it is reported that the piano's motor failed on the opening night, and it was never heard again. 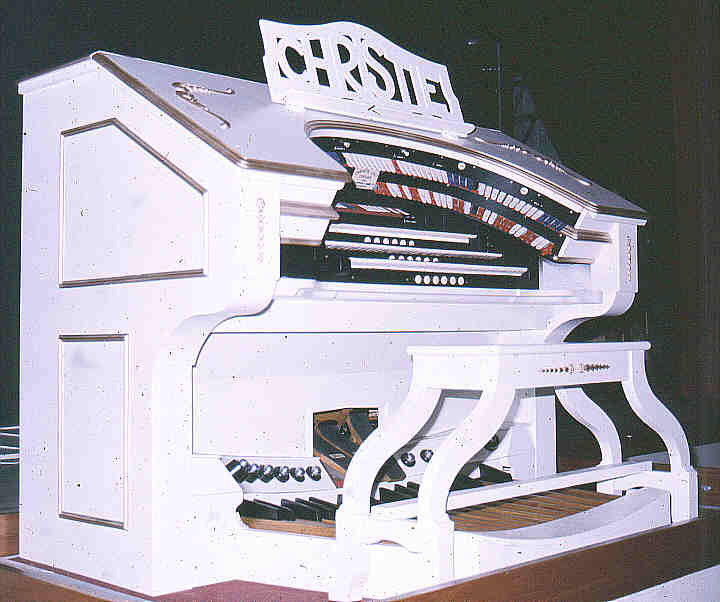 It is of note that this was the last new Christie organ to be built for Granada, who otherwise installed only Wurlitzer organs from 1931 onwards. "Granada, Maidstone Christie Unit Organ General Arrangement"
At Maidstone, it was played regularly by Granada's team of touring organists, who would each have played it for a week or two in turn, before moving on. 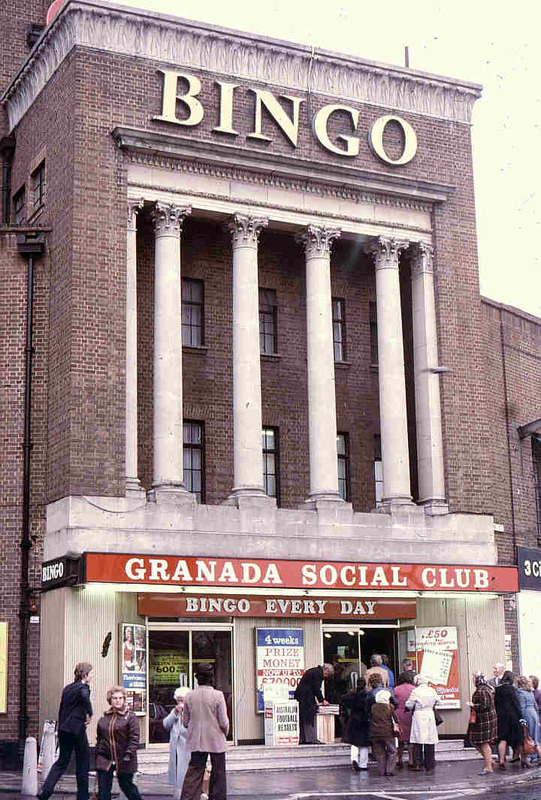 Organists known to have performed at Maidstone include: Alex Taylor, Harold Ramsay (who designed it), Donald Thorne (the only organist who was "resident" there for an extended time), Reginald Dixon (who toured for Granada during the winter months when the Tower Ballroom at Blackpool was closed), Horace Finch, Reginald Foort, Lloyd Thomas, Dudley Beaven, Stuart Barrie, Cecil Chadwick, Robinson Cleaver, Tommy Dando, Nelson Elms, Harry Farmer, John Madin, John Howlett, Neville Meale, Frank Newman, John Bennett, Reginald Porter-Brown, Leslie Simpson, Eric Smith, Ray Baines, Ronald Hanmer (who came to live in Brisbane in the 1950s), Frank Todd, Reginald Foxwell, Harold Betts, Elaine Blair, Harry Croft, Molly Cleaver, Charles Cooksey, Cyril Gell, Paul Gomez, Watson Holmes, Boyd Oxford, Leo Rae, Bernard Worster, Brian Rodwell and Douglas Sharp. It was last featured regularly in the early 1950s, and thereafter was heard only occasionally, apart from Saturday morning children's shows. It was maintained regularly, though, and like all other Granada organs at that time, continued to be tuned every two months. In the British summer of 1968 there was a torrential downpour of rain over the entire south-east of England, and many lower-lying parts were flooded. 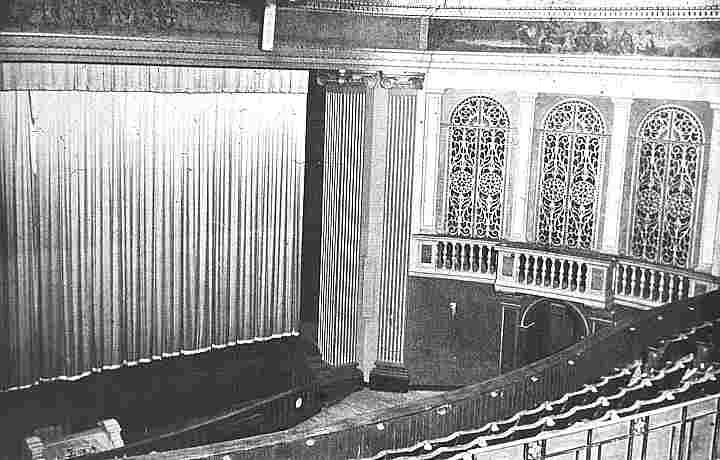 Two theatre organs, both in Granada theatres, were flood-damaged. 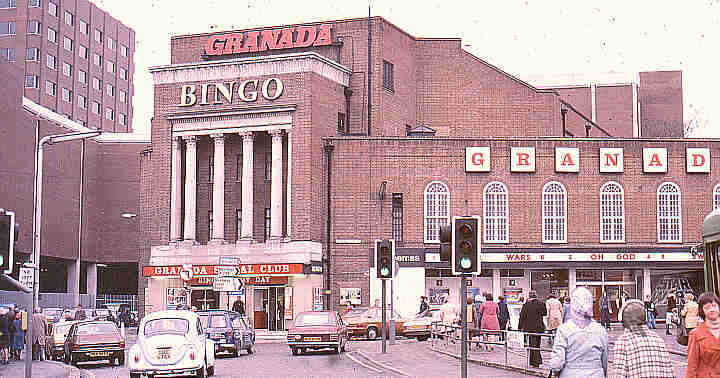 The three-manual, six-rank, Compton organ at the Granada Theatre, Dartford, which had its pipe chambers under the stage, was completely immersed and severely damaged. 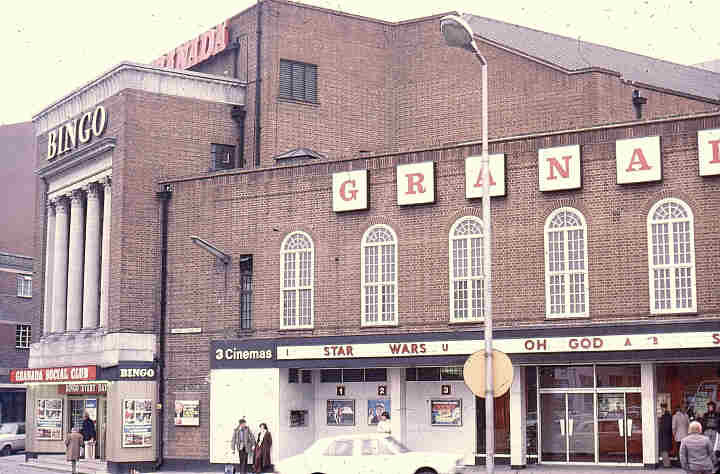 At the Granada, Maidstone, the console had gone under water and was damaged beyond repair. 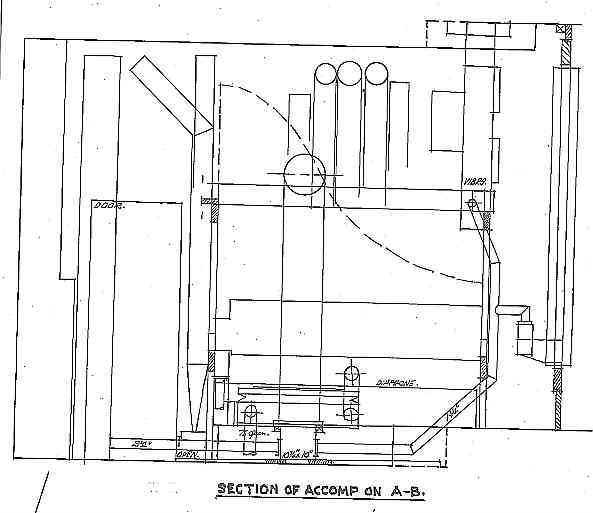 The pipe chambers were located high up in the proscenium wall, and were not affected by the flood. The instrument was acquired by TOSA (Qld) and shipped to Brisbane, minus the console. 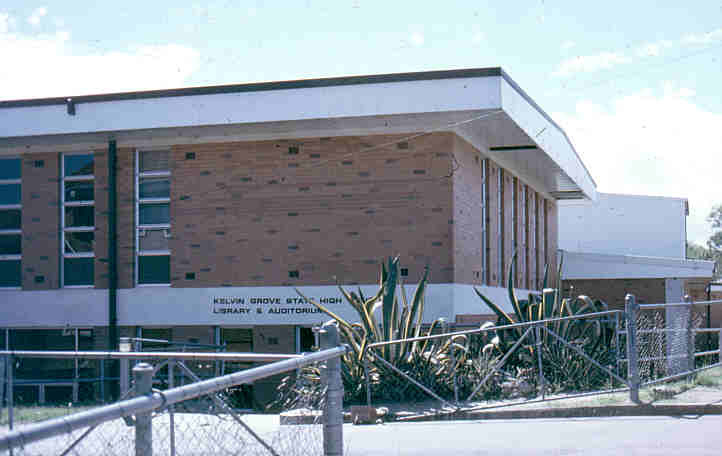 It arrived in January, 1971, and TOSA negotiated to have chambers to house it constructed in the new assembly hall at Kelvin Grove State High School, which was then on the drawing-board. A new console had to be found for the organ. 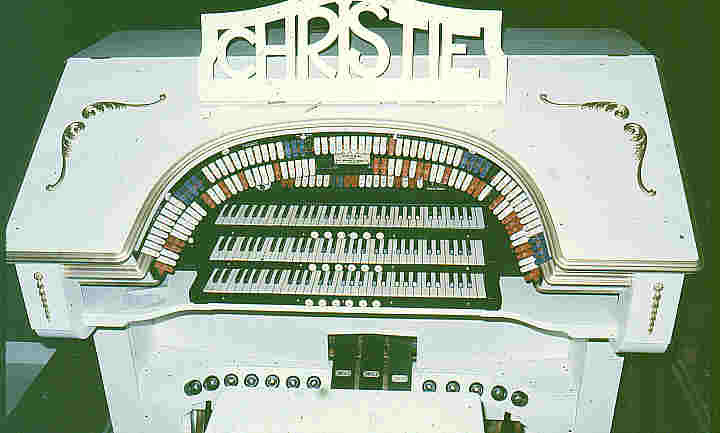 Fortunately, there was available in Sydney a two-manual Christie console which had originally controlled the ten-rank organ (Opus 2714) in the Empire Theatre, Dunedin, New Zealand, which Leslie V. Harvey had opened in around 1929. 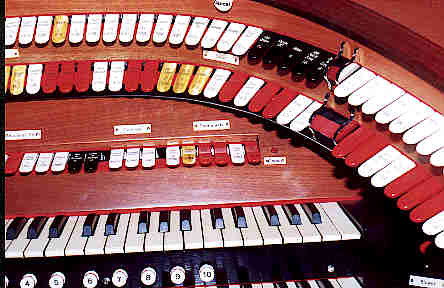 This console had later been used to control the organ (which included some pipework from Dunedin) in the residence of Penn Hughes in Bexley, Sydney, but became redundant when that organ was enlarged and a four-manual console took its place. The console was completely reconstructed by TOSA. 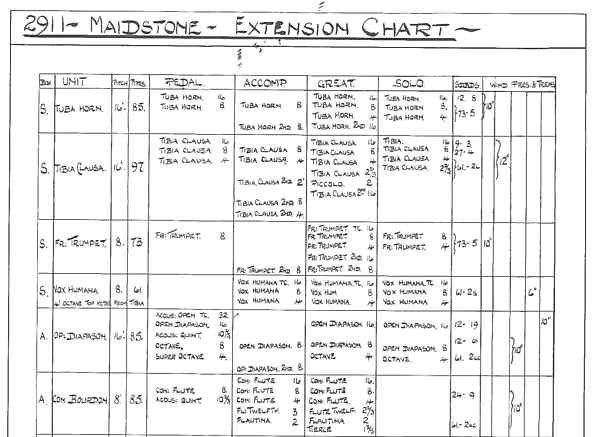 It was enlarged to accommodate a third manual, and the stop layout was enlarged, using stopkeys salvaged from Maidstone. The specification was made identical with the Maidstone original. 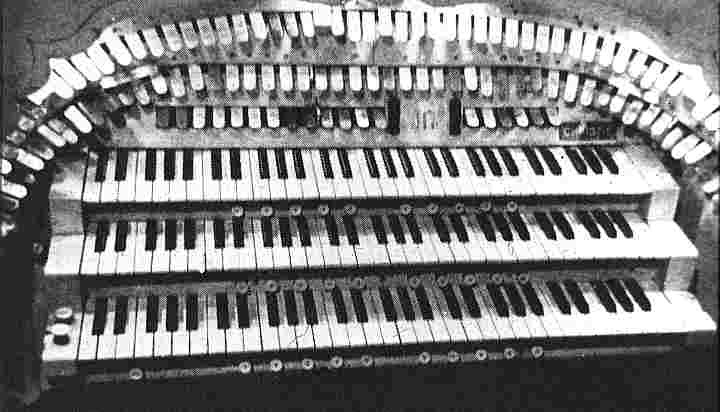 The console's original electro-pneumatic combination piston mecha-nism was replaced by a new all-electric mechanism. 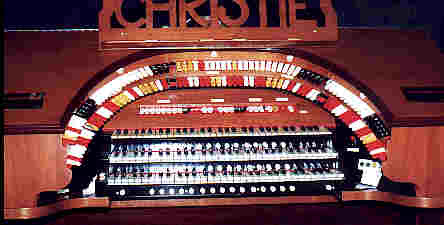 This was in keeping with the rest of the instrument, as Christie fitted all-electric combination pistons from 1933 onwards. 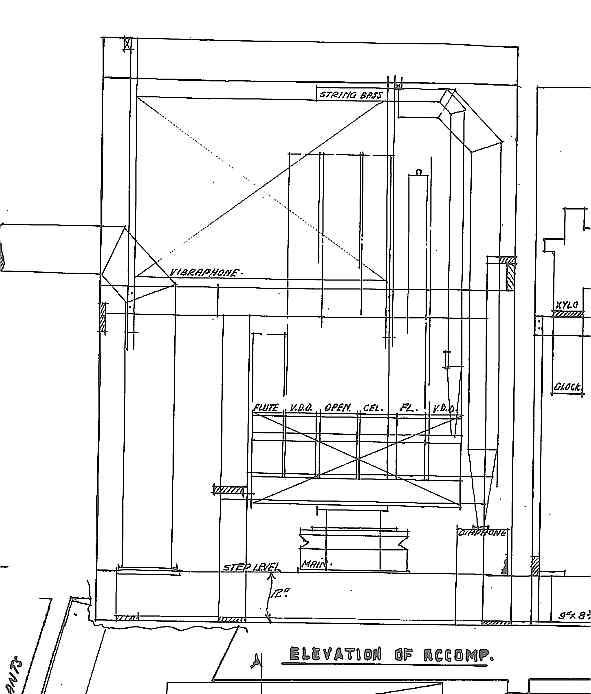 At Kelvin Grove, the bulk of the organ is housed in two chambers located between slatted grilles in the proscenium splay walls at stage level. The chamber dimensions are based on those at Maidstone. The main chamber, containing the Diapason, strings, Flute, Chrysoglott/ Vibraphone and relays is on the left-hand side, the solo chamber, containing the French Trumpet, Tuba Horn (moved to Main chamber when the oprgan was rebuilt in 2001), Tibia, Vox Humana, remaining percussions and effects, on the right. 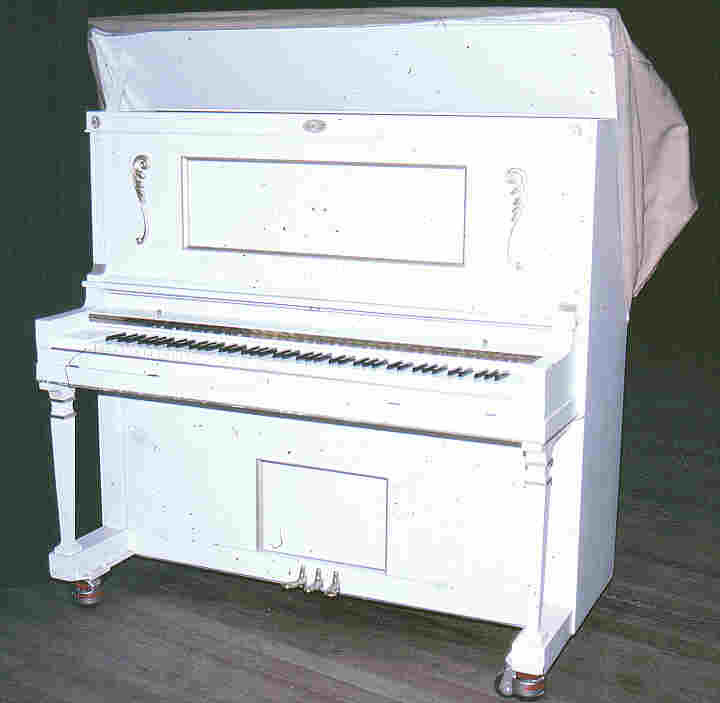 An upright piano attachment, converted by TOSA from a player-piano, was formerly located on the stage. The blower is in a separate structure adjacent to the auditorium. The work of rebuilding, restoration and reinstallation, which was completed a little while prior to the official inauguration by Tony Fenelon on Monday, 24 November, 1975, took an estimated 10,000 man-hours. The opening concert included a wide range of classical ("Sicilienne") to popular ("And I Love You So") music, as Fenelon expertly put the instrument through its paces. Since its opening, the organ has been played not only by Australian organists but also by top international artists of the calibre of Len Rawle, Ashley Miller and Tom Hazleton. It has been recorded on LP records by Barry Bailey and Wilbur Kentwell. 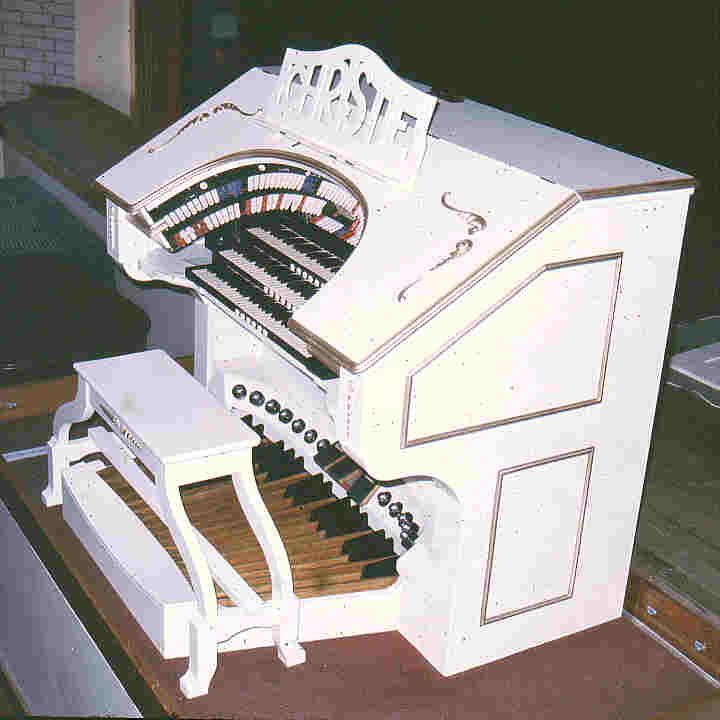 More recently it was decided to enlarge the organ and at the same time to rectify a number of inherent problems in its construction, especially the wind supply system and the less than ideal console arrangements. 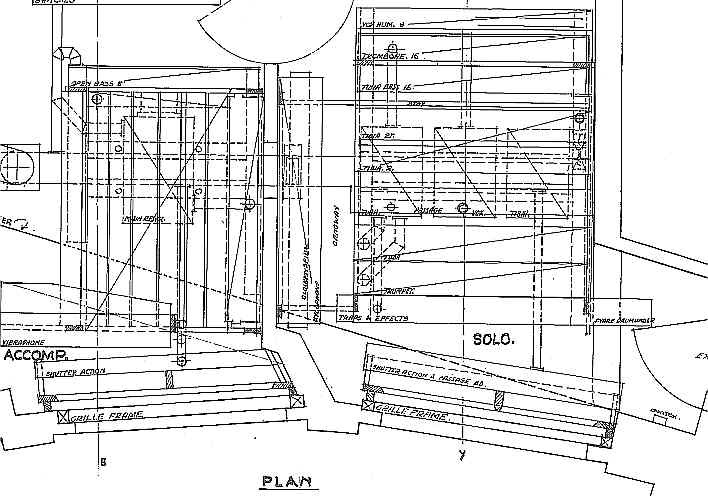 The project was led by Don Clark, who over a period of years has completely redesigned and rebuilt the instrument, adding Orchestral Oboe and Solo String ranks to its original complement and moving the Tuba from the Solo chamber into the Main, so that it can act as a better foil to the French Trumpet. 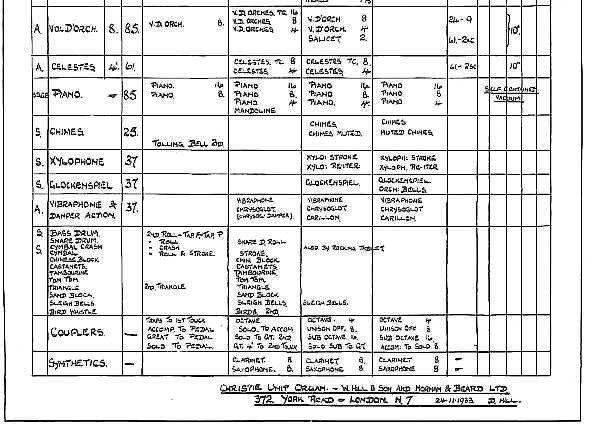 A Clarinet rank is also to be added shortly (2001). 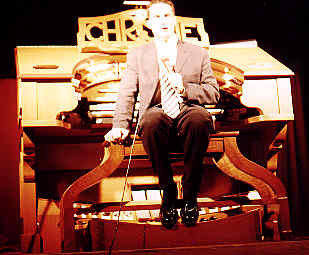 The rebuilt organ was given a workout at the TOSA Festival at Easter, 2001. I reviewed some of the festival concerts for an Internet List, and the following are the comments I made about the rebuilt organ. 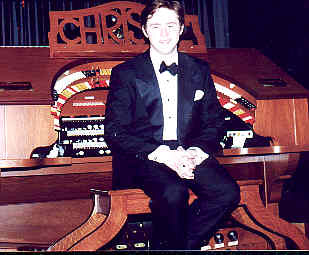 TOSA Qld owes a huge debt of gratitude to Don Clark, whose dedication, expertise and meticulous attention to getting it right has transformed the Christie organ at Kelvin Grove from an instrument international organists had been know to find excuses to avoid playing to a star of an organ. Over the past several years, Don and his team have devoted literally thousands of hours to a complete reconstruction of the organ. Most immediately apparent is the resplendent console, which he has built almost entirely from new, incorporating only a few parts of the ex-Dunedin console that formerly controlled it. Even a cursory inspection reveals the vast amount of work he has put into its construction; it surpasses the quality of consoles new from organ-builders' workshops. But it is in the sound that the most stunning transformation has taken place. When I first heard the organ some 25 years ago, it was apparent that the wind system was inadequate as regards both the quantity and quality of wind. 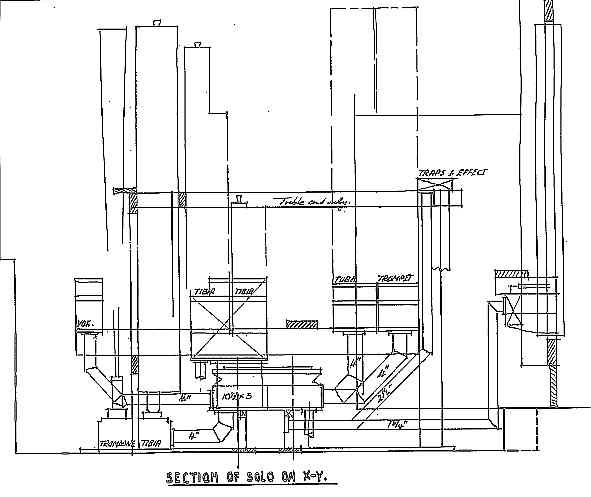 This was not a failing of TOSA, but of the original design of the organ when it was built for the theatre in England. Tremulant speeds and tuning varied alarmingly as stops were added and subtracted. Basses tremulated that should not have tremulated; the Tuba in particular lost its sparkle when competing with the Tibia and Diapason for wind. All this has now been rectified, as Don has totally redesigned the entire wind system, adding regulators and tremulants, and has constructed a radically new system capable of fulfilling the function required of it. At no time during the concerts I attended did I hear any hint of shortness of breath in the organ. It was also the first time that I have heard the organ in tune throughout a concert, regardless of the registrations used. Having ensured that there was an adequate and optimum supply of wind, Don turned to the pipework. Not only has this been regulated and adjusted to a nicety, but he has moved the Tuba from the Solo chamber to the main, where it is an effective contrast to the French Trumpet in the solo. The French Trumpet has been relocated closer to the solo shutters, from which move it has gained a clarity and clang that fulfil the promise it had earlier suggested but never realised. But there's more, lots more. 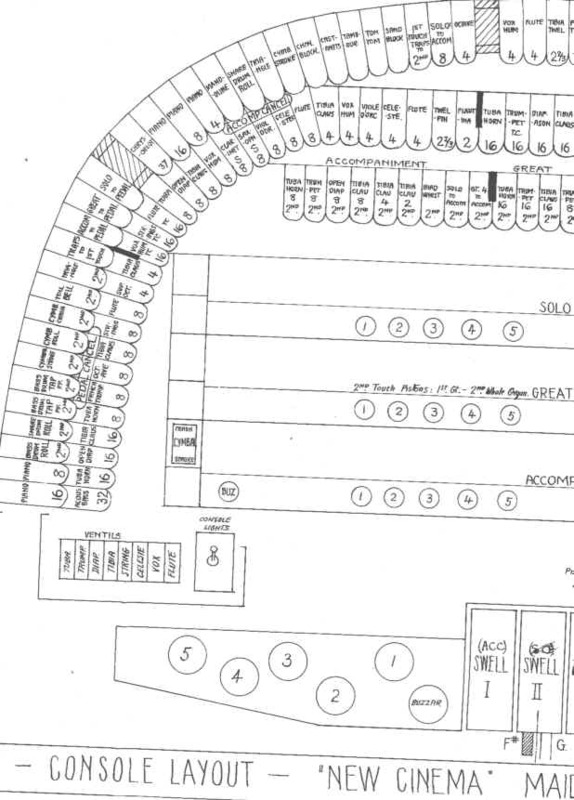 Two extra ranks have so far been added, both in the solo, raising the organ's complement to ten. A new Orchestral Oboe provides a plaintive colour reed effect. To my ears, it has more the sound of an Oboe Horn, with perhaps a little edge, than the piquancy of a true Orchestral Oboe. This, however, is no criticism of its sound, merely a comment on its labelling. Another addition to the solo chamber is a Solo String. I found this a very successful and gutsy string-toned rank, with almost as much body as a Violin Diapason or Geigen, able to act as a contrasting foil to the Open Diapason in the main chamber. 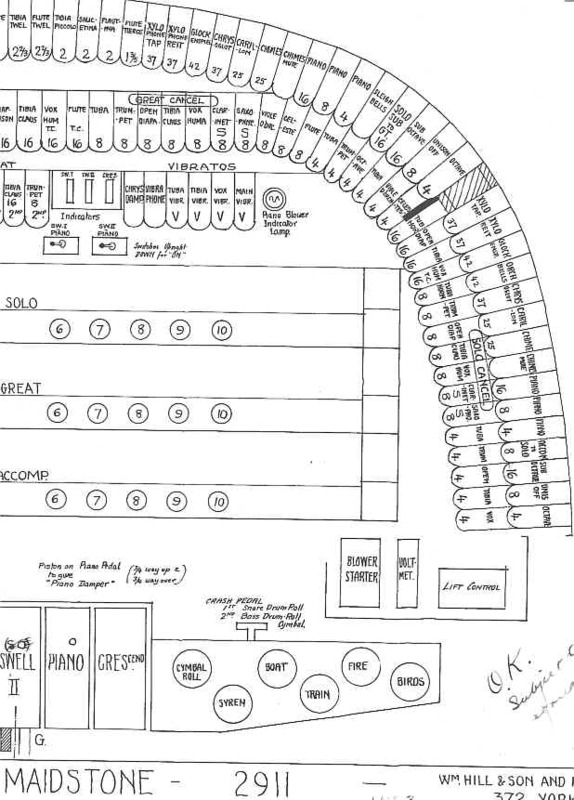 What a useful rank organists will find this in the future. Another rank to be added shortly, but unfortunately not able to be completed just yet, is a Clarinet, which will occupy the present Flute chest in the main chamber, the Flute being relocated within the chamber. The upright piano formerly connected to the organ was deemed unsuitable for continued use, at least without at least a major reconditioning. 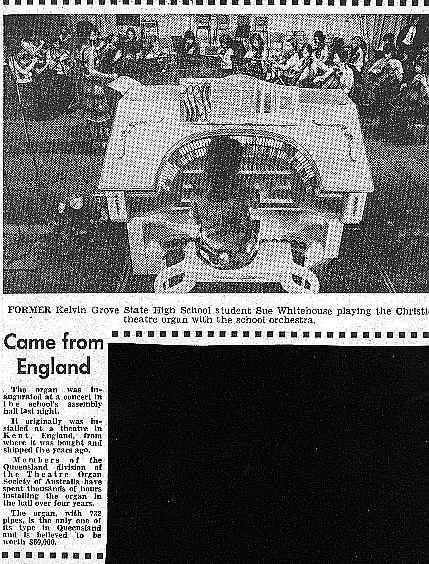 A piano will be available on the organ at a future date. This is only a brief summary of some of the changes and improvements incorporated in the organ. I was amazed at the transformation of a quite pedestrian instrument into an organ of very high quality, combining both quality of tone and liveliness of sound. I am sure that its reputation has already spread, and that in future top national and international organists will vie to play it. I have one small critique - the organ needs to be tuned to the percussions, which were slightly "out" with it. To repeat, TOSA Qld owes a huge debt of gratitude to Don Clark and his team. The organ was built in 1934. It has taken 67 years to realise its potential; I am sure it has never sounded as good as this before.